Long-suffering yet intensely loyal, Elizabeth Hamilton buried her sister, her eldest son, her husband, and her father in the space of three turbulent years. She would spend much of her long widowhood working to secure Hamilton's place in American history. "I Meet You in Every Dream"
Elizabeth Schuyler was born on August 7, 1757, in Albany, New York, the second daughter of wealthy landowner and Revolutionary War general Philip Schuyler. Almost none of Elizabeth's own correspondence has survived, so her personality is gleaned largely from the impressions of others. Good-natured though somewhat serious, she was at ease in the outdoors and devout in her Christian faith. A dutiful daughter, she eschewed the elopements chosen by three of her sisters and instead conducted a traditional, if whirlwind, courtship with the dashing young aide she found at George Washington's headquarters in February 1780. They had met briefly a few years before, but now Alexander Hamilton was smitten, "a gone man," in the words of another aide. "I meet you in every dream," Hamilton wrote in one of his swooning letters, "and when I wake I cannot close my eyes for ruminating on your sweetness." In a joking letter to a fellow aide he sounded more dispassionate: "Though not a genius, she has good sense enough to be agreeable, and though not a beauty, she has fine black eyes, is rather handsome, and has every other requisite of the exterior to make a lover happy." Alexander and Elizabeth (he called her Eliza or Betsey) were married at the Schuyler home on December 14 of that same year, and Hamilton was warmly received into the family. He had particularly fond dealings with Philip Schuyler and Elizabeth's eldest sister Angelica, a beautiful and charming woman. In one letter Angelica told Elizabeth that she loved Hamilton "very much and, if you were as generous as the old Romans, you would lend him to me for a little while." Whether Elizabeth received this as sisterly banter or something more serious is not known; one of her few surviving letters does say that marriage made her "the happiest of women. My dear Hamilton is fonder of me every day." Elizabeth gave birth to their first child, Philip, in 1782, and seven more would follow over the next two decades; the Hamiltons also raised the orphaned daughter of a friend for 10 years. A firm but affectionate mother, Elizabeth made sure her children had a religious upbringing, and ran the household so efficiently that an associate told Hamilton she "has as much merit as your treasurer as you have as treasurer of the wealth of the United States." She was present at such historic moments as when Hamilton began to write The Federalist and composed his defense of a national bank. Elizabeth also spent many months separated from her husband. 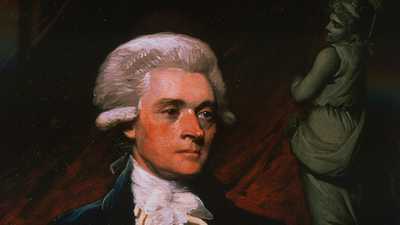 During one such interlude, in the summer of 1791, Hamilton began an affair with Maria Reynolds that, when publicly revealed six years later, exposed Elizabeth to a humiliation augmented both by Hamilton's insistence on airing the adultery's most lurid details and a hostile press that asked, "Art thou a wife? See him, whom thou has chosen for the partner of this life, lolling in the lap of a harlot!!" Ashamed of his conduct, Hamilton began to pay closer attention to his family. But a series of events would soon rip that family apart. The first blow was struck in March 1801, when Elizabeth lost her sister Peggy after a long illness. Her eldest son Philip died that November in a reckless duel, and Hamilton himself followed fewer than three years later. Thrust into harsh financial straits, Elizabeth then witnessed her father's death in November 1804 and had to use both strength and ingenuity to keep her remaining family afloat. 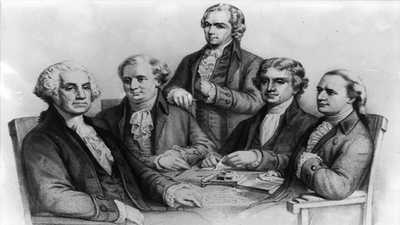 A slight inheritance from Philip Schuyler helped with that, as did the private raising of money from Hamilton's friends that enabled Elizabeth to stay in the house she and Hamilton had shared. Elizabeth did not spend her days in sorrow or self-pity. 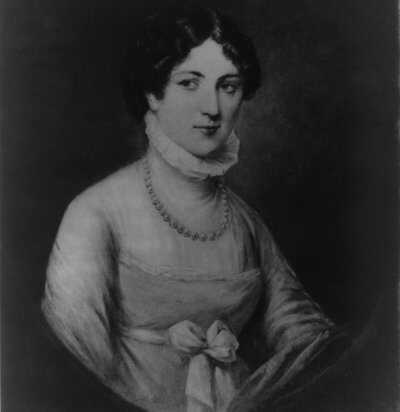 Instead she immersed herself in charitable work, helping found New York's first private orphanage in 1806, and embarking on a decades-long campaign to ensure "her Hamilton" received the historical laurels she was sure he deserved. She recruited biographers to do a proper work on her husband (the task eventually fell to a son), hired assistants to organize his papers, even wore a little bag around her neck with pieces of a sonnet he had composed for her in 1780. She moved to Washington, D.C. in 1848 to live with a daughter, became a celebrated guest at the White House, and died just a few months after her 97th birthday. 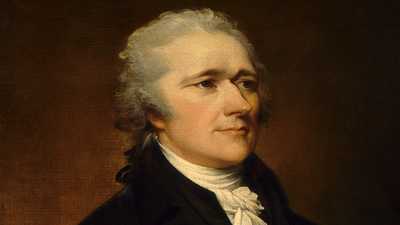 Hamilton rose to become a Revolutionary War hero, an advocate for the Constitution, and a rescuer of the nascent American government from financial ruin.